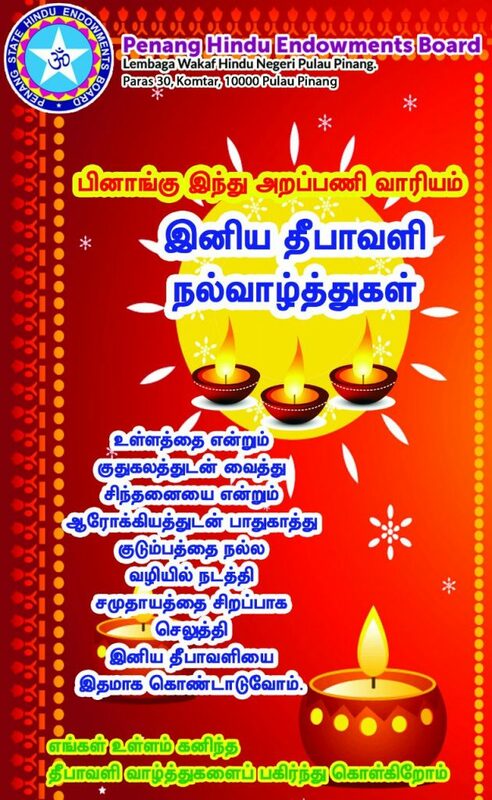 ‘VERY HAPPY AND PROSPEROUS DEEPAVALI’. May all of you be blessed with good health and wealth. conjunction with the Deepavali Celebrations.